Sarah Storey took the first round of the Rudy Project Time Trial series at the weekend, more than three minutes ahead of Olympic pursuit champion Rebecca Romero on the hilly 24-mile course. “I’m really pleased for Sarah,” explained team manager, Stefan Wyman. “It’s the team’s first win, in our first major race. We all know how good Sarah is, and you only have to look at the nature of her win to see that. There are quality riders behind her and her winning margin was more than three minutes. “I know Sarah would have liked to have been racing in the World Track Championships, but without a selection for that, she’s clearly put everything into this event and has blitzed the field,” added Wyman. 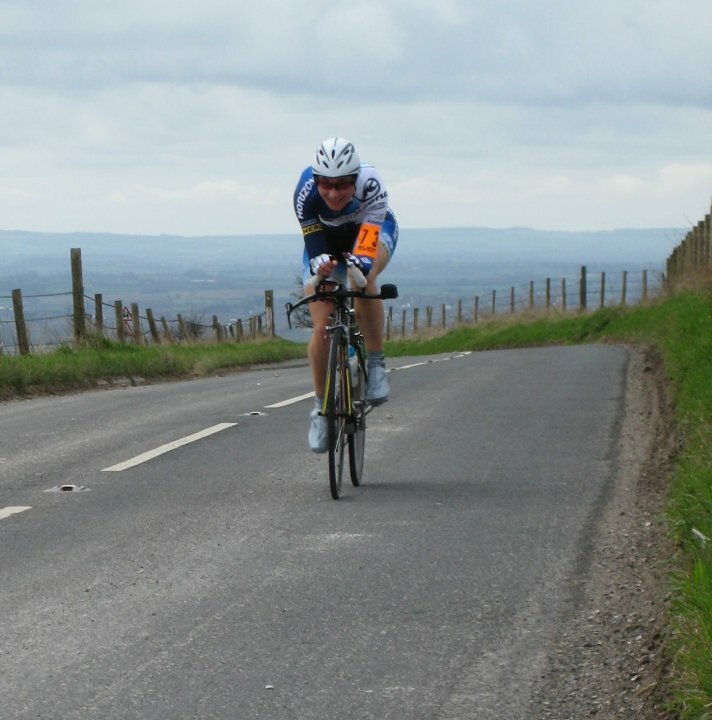 Storey now continues her preparation for the GP Dottignies which she competes in next week in Belgium. A 1.2-ranked Classic-style race in West Flanders, it will be Storey professional road race debut. ‘I’m sure Sarah will do well in the race, but this race is a case of dipping her toes into a pro race with no stress. Belgian-based Dan Patten is closing in on his first win of the year. The Asfra Racing Team rider took his first podium finish of the year on Saturday, claiming third in an event in Montreuil-sur-Mer in northern France. “It was about 90 kilometres long, almost like a criterium,” he said. “The break was always going to go pretty early, and it literally got away the first time up the climb at the end of town. The escape group included former Belgian champion Ludovic Capelle and ex-ProTour rider Pierre Drancourt. Patten managed to whittle it down to a group of three for the cobbled finish, but was left disappointed in the sprint for victory. ”It was a weird sprint, we were all looking at each other. It didn’t open up until quite late and I lost out. It’s a bit of a shame, but there’s always another one.” Patten did, however, claim the King of the Mountains prize. “I can’t really complain too much; I’m coming into some nice form already, almost without targeting any race in particular,” he continued. Patten intends to hone his form in the kermesses, fitting in a trip to Rutland for the International CiCLE Classic in May. While out training in the last week, the Rayner Fund-supported rider also enjoyed chance encounters on the Belgian roads with Team Sky professionals Kurt-Asle Arvesen and Edvald Boasson Hagen. British Cycling has launched a Facebook campaign entitled ‘Keep Racing on the Roads’ as it increases its efforts to revive the sport in Britain. The sport’s future is looking increasingly uncertain thanks to archaic legislation and the rising cost of policing. Last week MPs and parliamentary candidates received a letter from British Cycling, signed by CEO Ian Drake, Performance Director Dave Brailsford and Chris Hoy, drawing attention to the issue and asking for support. British Cycling has attracted more than 400 members to its Facebook campaign since going live on Friday. Log on to Facebook for more details. Rapha will pay homage to Paris-Roubaix, with a free sportive adventure ride along the lanes, bridleways and dirt-roads of Hertfordshire. Muddy terrain, gravel and bumpy ‘rough stuff’ on the 100km celebration of the Queen of the Classics. A free beer and frites are available to every rider at the finish and we will have a screening of Paris-Roubaix 2010 itself. To add a little extra incentive, the rider with most punctures (proof needed!) will be awarded a signed jersey from Classics star Juan Antonio Flecha. The event is completely free to enter, just turn up and ride. The Yorkshire town of Pickering will play host to an evening of racing and entertainment on Friday 23 April to fete the start of the MTB Cross Country World Cup. The evening’s action kick offs with the Pro Sprint Eliminator, a combination of four-cross and cross country racing, but in an urban setting, bringing the sport even closer to the public. Riders in the opening time trial round will have to be quick enough to make it into the eliminator phase. There they will face off in groups of four, having to finish in the top two in each subsequent round to qualify for the final where a cash prize awaits the final overall winner. There will then be an opening ceremony for the World Cup race, followed by an evening of festive activities. Bars and restaurants in Pickering will stay open late into the night to celebrate the arrival of the World Cup. British Cycling Coaching and Education are inviting riders to participate in a morning of coaching activities to be held at Hog Hill Cycle Circuit on Sunday April 11. The session forms part of the practical activities within the new Level 3 Road and Time Trial Coaching Award. The Level 3 Road and Time Trial Award is aimed at coaches wanting to deliver high performance coaching to riders, therefore, the morning session will include activities to develop group riding and team time trial riding techniques, as well as developing riders tactical performance in road racing. Riders should have a good standard of technical ability and bike handling skills and recent road racing experience. The minimum age for riders to participate in the session is 16 years old. For riders under the age of 18 please complete a parental consent form. These can be downloaded from the British Cycling website. The session is free (although places are limited) and will run from 9.00 a.m. until approximately 1.00 p.m. British Cycling will supply lunch and refreshments to the riders. Some activities will relate to time trial events, although riders need only bring a standard road bike to the session. Shutt Velo Rapide has expanded its clothing to include women’s and junior clothing after a series of testing done by the Orbea For Goodness Shakes squad. By extending our range to include Women’s and Juniors garments, we are now providing cyclists of all abilities real performance clothing they can depend on,” said company managing director, Simon Warren.